Honor has been known for its budget range smartphones. Specially in 2018 Honor has brought many devices with killer specs and pocket-friendly pricing. Specially the Honor View 10 was perfect combination of specs and price in its segment. This series of Honor carries the best processor of the that time with great cameras. As the Honor View 10 was a great combination of flagship specs and decent pricing, the successor of it will not be an exception. 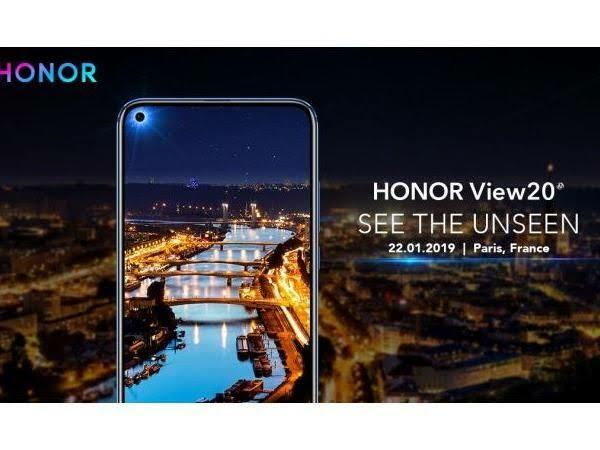 As a flagship device, Honor view 20 may appear with a glass back, just like the predecessor. This also may come with a hole in the display for the front camera. That means it will have a full screen display with no notch. The display will be a 6.3 inch Full HD+ IPS LCD panel with 1080x2340 pixels. The aspect ratio here will be of 19.5:9 with 409 PPI pixel density. Any display protection has not been confirmed till now. Performancewise this smartphone may have one of the best processors of the market. The Honor View 10 had the best Processor made by Huawei of that time. The successor also will have the latest by Huawei, the Kirin 980. This SoC is packed with AI capabilities and a 7nm design that is most conservative till date. Also the Mali-G76 MP10 will help out for high graphics performance. In the software section, the Honor View 20 may come with the latest from Google, the Android Pie (9.0). But there will be a custom UI placed on the OS, that's Huawei's own EMUI 9.0. 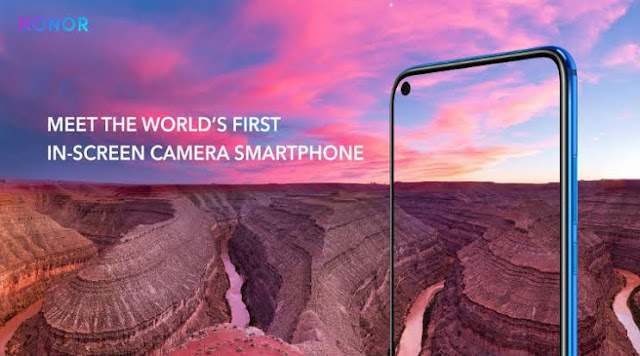 The most highlighting featuring of the Honor View 20 may be the cameras. Though we will not get multiple cameras like the most of 2018 phones. But it will have a whopping 48 MP Sony IMX586 sensor on the rear side for the first time. Though Xiaomi also has promised to bring a new smartphone with the same sensor within January 2018. Let's see who brings it earlier. In the front side, it will have a 24 MP front camera in a 4.5 mm hole placed in the top-left corner of the display. The software implementation for the camera will be important as multiple cameras has taken the mobile photography concept to the nexter level these days. The base variant of the Honor View 20 can have 6 GB ram with a 128 GB storage on board. The user can expand the storage with a hybrid Nano memory card solution. That means the smartphone will have two Nano ports which will support the Nano memory cards also. The colours have not been confirmed yet but it is confirmed that the looks will be awesome like the Honor View 10. The battery also will be upgraded to a big 4000 maH capacity. The other specs will be available like Wi-Fi 802.11 a/b/g/n/ac, dual-band, WiFi Direct, hotspot and the necessary sensors. The fast charging support will be available with 22.5 W Max input via the USB type c port. Fingerprint sensor will be available on the rear side. That's all the leaks came till now about the Honor View 20. If we look behind, Honor has priced its devices right under the perfect bracket. Also the View 10 was priced under 30k in India with flagship level specs. Also the successor of it has great specs with an unique camera module. Just Honor has to keep it in the right price segment. The global launch of the smartphone is scheduled on January 22nd in 2019 in Paris but we may have the first look of it on the 26th December, 2018 in China as Honor V20.